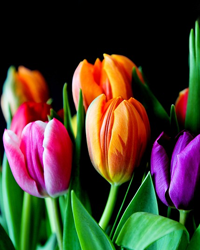 JERSEY SHORE - Bernadine E. “Teenie” (Hill) Mecone, 92, passed away Sunday, April 14, 2019 at Rose View Center. Bernadine was born on December 16, 1926 in Williamsport and was the daughter of the late Charles M. and Mary K. (Lose) Hill. She was a dedicated homemaker through life and was Catholic by faith. Bernadine is survived by two brothers; John Hill of Elmira, NY and Charles Hill of Florida, one sister-in-law; Margaret A. Hill of Jersey Shore and nieces and nephews. In addition to her parents and husband, she was preceded in death by one son; Michael J. Mecone, two daughters; Kathleen A. Bower and Patricia L. Mecone, one brother; Raymond L. Hill and three sisters; Evelyn L. Camilli, Margaret M. Corey and Mary Lou Yost. In keeping with her wishes, services will be private at the convenience of the family with interment in Montoursville Cemetery.